Whether you need a new well installed or need your current well repaired, we have the know-how and man power to do it. 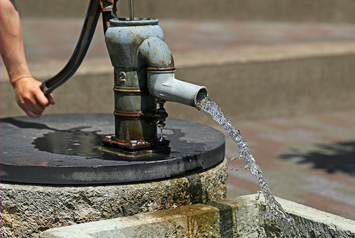 Pump maintenance is extremely important for maintaining well water systems. We have the knowledge to examine your pumps and get them back in running order. We have over 30 years of experience diagnosing water problems quickly and providing a lasting solution. Let us get your water back to crystal clear. With over 30 years of experience, we provide quality services to both businesses and families alike. At Richman Well Drilling, LLC, we are the well drilling experts of the Southeast Michigan area. We specialize in the installation and repair of both wells and water pumps, as well as water testing. For over 30 years, we have been providing our quality services to families and businesses alike. We are extremely passionate about our customers’ satisfaction, always working until the job is done correctly and far exceeding your expectations. We would never leave a job knowing that we wouldn’t have the same work done in our own homes. Our pristine reputation for being the best in the area means the world to us, and we know that it’s all because of our customers’ satisfaction with our honest work and affordable prices. Solving ALL Your Water Problems, Once and For All! If you are suffering from water that is of low quality, low water pressure or no water at all, don't put off the repair. Small problems can turn into very large and costly repairs if not treated early. At the first sign of any issues with your water, we’re the company to call. We have the know-how and problem-solving abilities to quickly diagnose the problem and provide a solution. We offer a vast array of services, from well drilling, well repair, water pump repair, water tank repair, well inspections, well abandonments, water softeners and water testing to remedy even the most difficult complications. We know that most of the time the need for well, pump or water services arises with little to no warning, so we offer 24/7 emergency service to be there when you need us most. We are highly trained in emergency protocol, and our quick but thorough work ethic minimizes downtime. We make sure to get your water system back up and running without any additional disturbances. Our experts are very transparent when they first come out to your property, making sure they explain every step of the process to you. 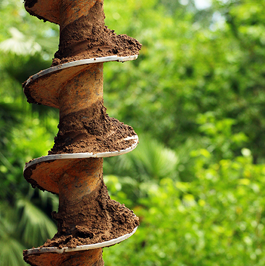 If you’re getting a new well installed, this would include providing a free estimate. After the job is done and we have exceeded your expectations, the bill you’ll receive will be very straightforward. You’ll never see an unexpected charge or anything out of the ordinary, as we make sure to provide full disclosure on our pricing throughout the job. We believe that honesty is always the best policy, and we pride ourselves on our open communication with our customers. Why Richman Well Drilling, LLC? Our company is a product of hard work, determination and the willingness to be the best in the industry. Richman Well Drilling, LLC is owned and operated by Ralph Richman. After becoming registered as a water well drilling contractor in Michigan, Ralph set up his own business to better serve his customers throughout the area. With over 30 years of experience, Richman Well Drilling, LLC services a wide variety of industries and areas. We offer 24/7 emergency service, and are always available when you need us most. We offer honest services with unrivaled, high-quality work in each and every job that we do. Call Richman Well Drilling, LLC today!